Think about amplifying the results you are getting from natural SEO by amplifying your content through social channels. Google dominates search, but should it dominate your marketing? The stats paint a clear picture: that social is vital to integrate with search and your marketing program overall. According to SEMPO, 35% of B2B companies integrate social media and search engine marketing programs – is your brand? HubSpot is a great social/SEO example – they receive 20,000 leads a month from inbound efforts. I use search engines on almost every story. I use social networks to find additional sources as well as for the story idea generation and story feedback. If you already have a keyword glossary, that can be shared with PR to leverage for their content creation to be optimized for journalists. Add a layer of search to your social activity: are you leveraging keywords across your social web participation? If not, you should be. Give your keyword glossaries to your social media marketing and PR team to use across marketing efforts. Cumulatively this leads to better visibility not just in Google but in social search as well. One of the problems of social media and SEO is that they are usually put in silos within an organization. But, you can bring them together to amplify results. You can’t afford not to combine social and SEO. In fact, if you are in a competitive category, it’s difficult to compete if you aren’t engaged. As just one example, it’s difficult to acquire lots of high quality, organic links unless you can promote great content to a significant number of people. Target, 1-800 Flowers, and other e-commerce brands are going social. They are integrating their online purchasing with social sites in order to tap into networks along with purchasing. Companies that are doing this type of activity are training their customers to make social a part of the purchasing process. Large brands are leveraging social tools for CRM purposes and sales opportunities. All you need to do to see the opportunity is query a topic customers are seeking information on and you can be the one to respond. Most importantly, people are social and people search. As long as there is content that can be sorted, there is an opportunity to optimize it. Is social a threat to search? No – search isn’t going anywhere. Social sites are popular but according to both consumer data and the nature of the web they are not a threat to search. Listening – understand the channels so you can make smart decisions about your tactics. Listening also provides you social keyword research to mine data from your target audience. If you have ever created a social listening report, you know it’s keyword-based and the value of understanding the language audiences use. Content – The thing that makes social or SEO fantastic is content. If you don’t have a great message, you don’t have anything. Take stock of content assets in order to be able to maintain consistency with communications. After inventory, you can sync that up with an editorial plan. Skipping this step can lead to failure: for example, many create blogs and run out of things to say quite quickly. Without a plan, it’s easy to get stuck. Next, map your content to those social keywords developed to maximize visibility in search. Socialize – give to get, and grow a network of relevant people. Even if you have great content, no one will know to link to it or share it unless you promote it. Distribution channels are essential – create content around the needs of your customers and send through distribution channels that are independent of Google – for example, RSS, email, social, media/PR and contributed articles. The kicker is if done effectively, your performance in Google skyrockets. Measure – get social monitoring tools and social analytics in place in order to understand and get feedback on your content and participation. Look at the performance of your content and your competition’s content in order to provide insight. Marketo (a TopRank client) as an example created a social SEO strategy that focused on keywords and content their customer finds valuable as opposed to limiting themselves purely to keywords describing the product. 3) Leverage social media marketing campaign management tools (which will be explored in a future post at TopRank Blog). Be sure to check out the OMS video interview (in a phone booth!) with Lee, Rick Burnes from HubSpot, Joe Pulizzi from Junta 42 and Aaron Kahlow of Online Marketing Summit. We cover what tactics marketers should put a hold on, which big brands are not to be trusted (Twitter, Facebook, Microsoft or Google). Guess which brand no one voted for? And the best thing about OMS. Click the image below to see the video. This is golden advice for those who think that only great content will be sufficient. What is equally important is promoting it. And you can use social media to promote it very effectively as many people do. Thank you for liveblogging this Adam, your skills and insight are, as always, instrumental towards a great post. Thanks to Thomas for taking the photo! This is a great post on how to combine social networking and seo! I have been working recently on keywords for SEO and then incorporating them in to my social networking plan. It makes me feel good that I am on the right track. Lee…really enjoyed this presentation and spending time with you in a phone booth. And on your birthday of all things. Seriously, loved the presentation and the focus on brands creating a content strategy that helps customers – and then helps their own marketing goals. Great post Adam, really enjoyed presentation. Specially 4 keys to Social SEO i liked the most. In short 4 Keys to Social SEO are: Key word, Key topic, KEY Performance Indicators and key influencers right? 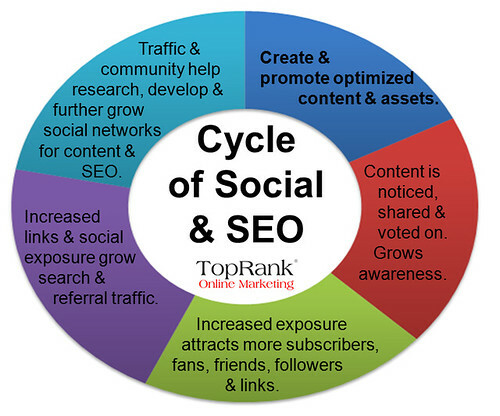 I found a lot of value in the concept of the intersection of SEO and Social Networking. Gives a wonderful new twist to online marketing. The 4 keys to seo is a great concept, i'll share this post with my followers. Nice blog…. Keep it up ! Visit us to get Free Backlinks for your website & to increase SEO for your website.